Мы говорим на русском языке. Ask About our Kids Birthday Parties!! 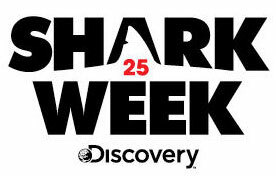 All Kids Get FREE Shark Jaw & Shark Tooth Necklace! ABSOLUTELY NO PHOTOSHOPPING ON THIS SITE! 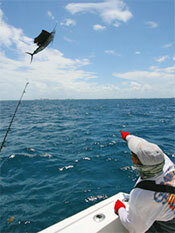 NOTE: We DON'T fly release flags upside down on our riggers, but we DO hang fish upside down on our gallows! 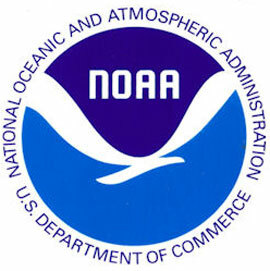 OVER 3.4 MILLION HITS ON OUR SITE SINCE JAN. 2014 !! PICTURE ALBUM in 2014 ! ... 5 Minutes to the Gulf Stream! 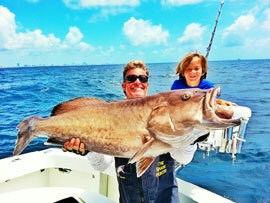 We will BEAT or MATCH all other charter prices! Call for details. If you don't catch your trophy fish, the next day is 1/2 price! All fishing licenses, frameable 8x10 glossy photo of your trophy fish, FREE monster fishing T-shirt and souvenir shark tooth. Ask about our unbeatable packages for great rooms at the Grand Doubletree Hilton Hotel. 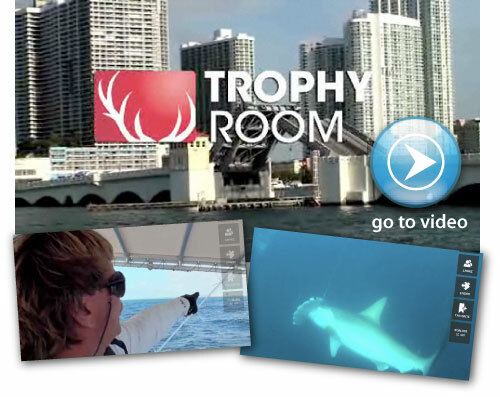 "IF THE CLASSIC JAWS MOVIE WERE FILMED FROM OUR BOAT IT WOULD HAVE BEEN A 10 MINUTE MOVIE"
Winner of the Best Fishing Show of 2009! Watch it now! 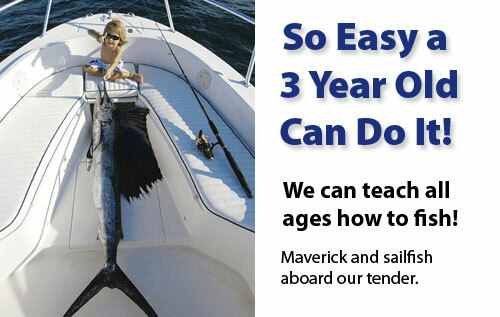 Welcome to Miami and Miami Beach's Number 1 Sportfishing Charter Boat for rent that is affordable in Fort Lauderdale & all South Florida. 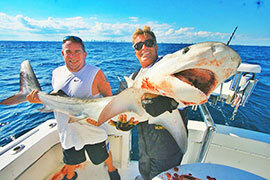 We are also South Florida's #1 rated Deep Sea Sport Fishing Charter, Fishing Boat Tour Boat Operation. 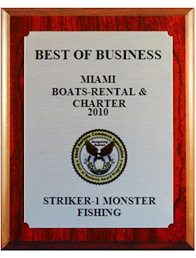 MONSTER FISHING CHARTERS was awarded the top Fishing Boats for Deepsea Fishing Charters in South Florida and our website had more than 320,000 visitors last year MAKING US THE #1 fishing website in the world!! 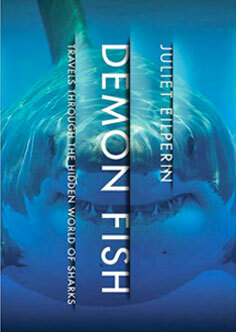 “Demon Fish" Travels through the hidden world of sharks. Join her in her journey around the globe to study the myths, facts, and the shark hunters that surround these mysterious creatures. 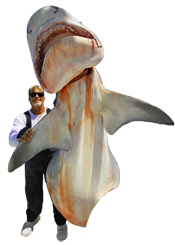 THE SHARK HUNTER is also available for hire on daily or on a weekly basis as a private Sportfishing Captain on your Fishing Yacht. 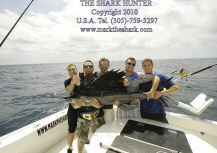 Corporate Fishing Charters, or Childrens Fishing Trips in Miami, Miami Beach and South Beach, Fort Lauderdale, Pompano Beach, Boca Raton, Hollywood Beach, Downtown Miami, Sunny Isles, Aventura, the Palm Beaches as well as Islamorada, Key Largo, Marathon and Key West in the Florida Keys. 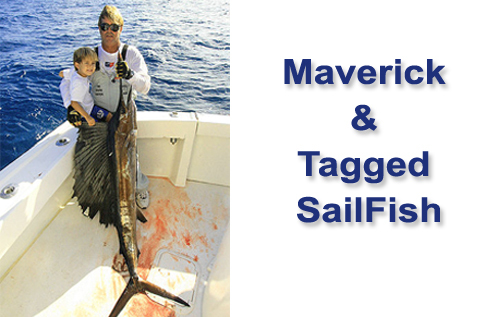 We also set up Saltwater Anglers with East Coast tournaments and help catch offshore Atlantic sailfish, shark, dolphin, barracuda, grouper, tarpon, marlin, wahoo, giant tuna, and other big game fish. 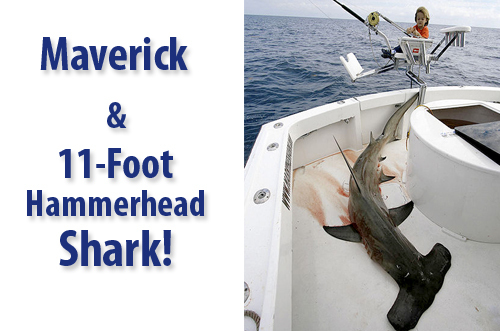 Only the finest Offshore Sport Fishing Equipment including rods and reels is included in our Deep Sea Fishing packages for your Miami Beach vacation. 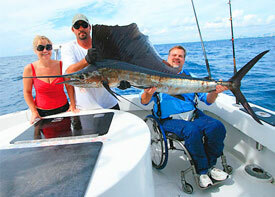 ALL anglers are welcome, including novices, pros, handicapped anglers, junior anglers and kids of all ages. 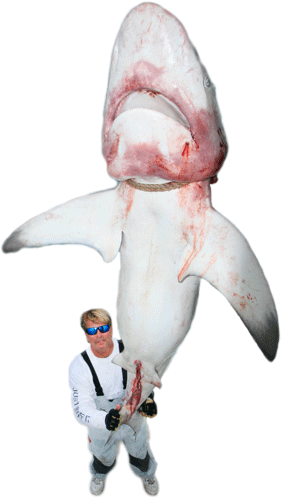 Most of the Big Game Fishing pictures you see on THE SHARK HUNTER'S web site are taken in Florida's Gulf Stream current, which is only 2 miles off the Gold Coast of South Florida and Miami Beach. 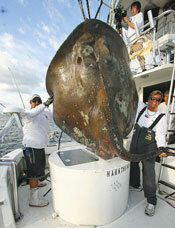 We can also do Big Game Deep Sea Fishing Charters in the Bahamas or Bimini. We have a custom home built in Eleuthera Island (the spear fishing capital of the islands) where you can vacation and catch big game fish and freedive or scuba dive all in one! 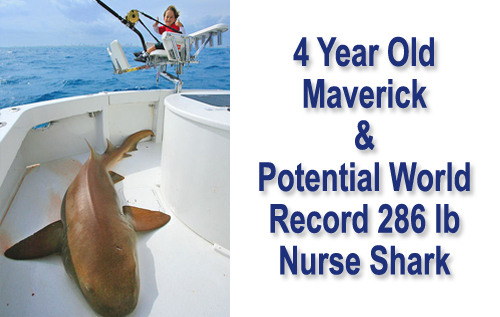 We can also service you on other BOAT YACHT CHARTERS and sales or brokerage including sightseeing boats, dinner cruise boats and high speed cigarette power boats, dive boats ... snorkeling and scuba diving, jet skis and kayaks as well as the Salt Water Offshore and Inshore Big Game Fishing Charter. 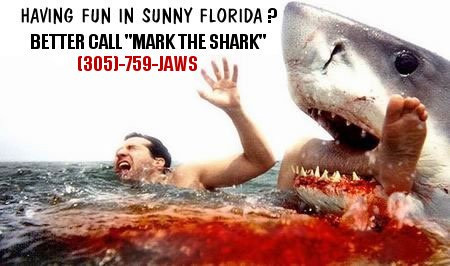 You can also contact your local concierge service at one of our recommended hotels on Miami Beach, Downtown Miami or Fort Lauderdale and the Florida Keys. 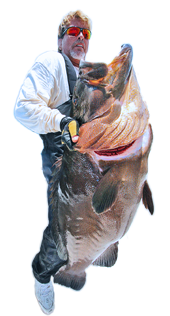 Please enjoy our MONSTER FISHING WEBSITE where there are over 5,000 Big Game Fishing pictures as well as 200 Deep Sea and Sport Fishing videos as well as Deep Sea Fishing DVDs for sale. 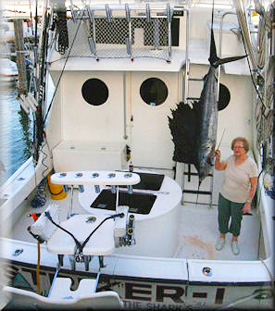 We are a better Charter Fishing Boat than the Saltwater Sport Fishing Charter Boats on the East Coast and in the Florida Keys, including the fleet of Deep Sea Fishing Boats in Key West, and we have a much shorter run to the South Florida fishing highway called the GULFSTREAM. 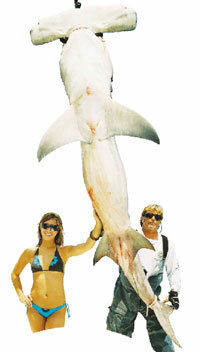 Most of the Big Game Sport Fishing and Deep Sea Fishing Charters in Key Largo as well as the Charter Fishing Boats in Islamorada take as long as 1 hour to get to where the big game fish are. 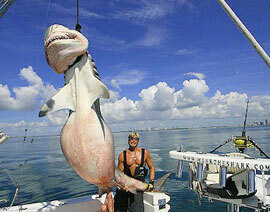 Our Fishing Charters catch Trophy Fish only 1 mile offshore with Miami Beach hotels still in plain view!! 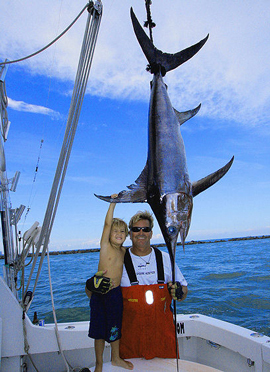 Sport Fishing and Deep Sea Fishing off of SOUTH BEACH FLORIDA is also closer to the Gulf Stream than the sport fishing charter boats for hire in Fort Lauderdale and Hollywood Beach. 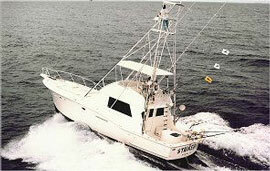 Split party charters on our Fishing Boat Tours with captain and crew are easily arranged. 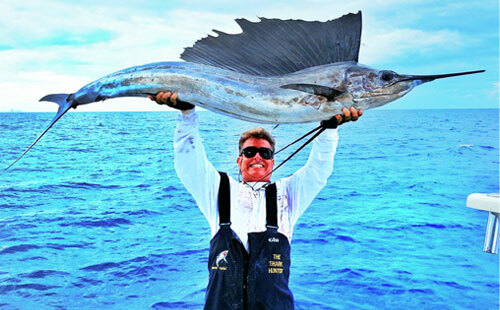 We also set up saltwater anglers with east coast tournaments and help catch sailfish, monster shark, dolphin, barracuda, grouper, tarpon, marlin, wahoo, giant tuna, and other big game fish. 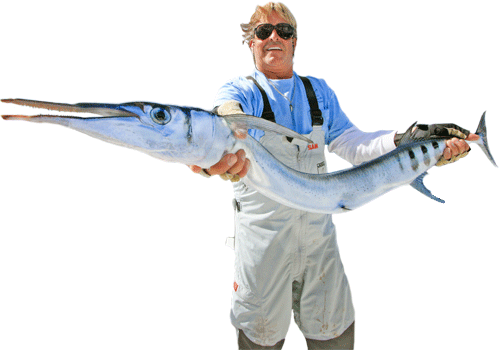 The finest offshore sport fishing tackle i.e., rods, reels, equipment is included in our deep sea fishing package for your south beach vacation. 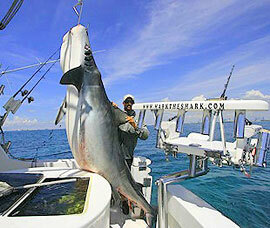 Have a reel fishing adventure charter of a lifetime aboard a famous fishing yacht. 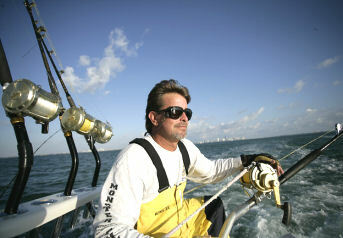 Fishing trips and bay cruises in Miami are our specialty. 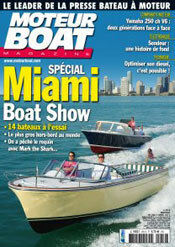 We have specials on bay cruises and trips. 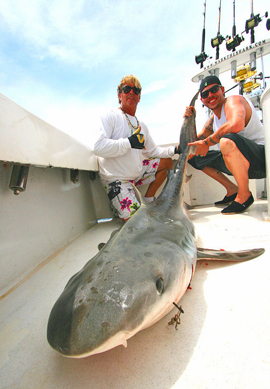 CAPTAIN MARK THE SHARK, universally known as "THE SHARK HUNTER", says WELCOME ABOARD THE WORLD FAMOUS CHARTER BOAT "STRIKER-1" He will be your personal Sport Fishing Guide. 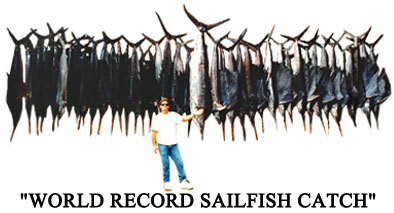 Expierence what thousands of people are talking about and come with him on the most famous Fishing Charters in the world. 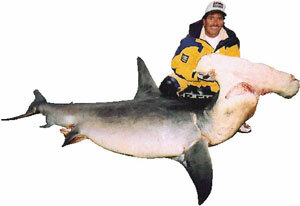 Now go catch a MONSTER FISH!! that puts you on top of all the action! Experience what everyone's talking about for the thrill of your life. 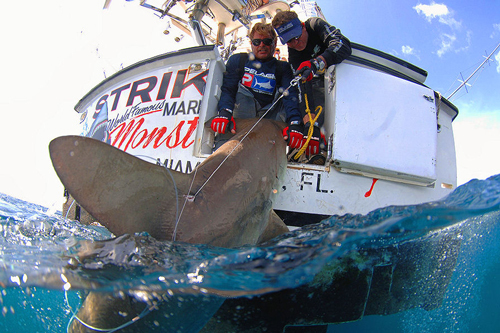 Click here to watch Mark the Shark featured on Channel 4 News. 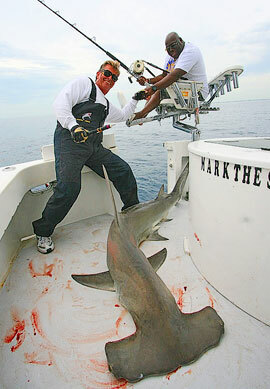 Mark the Shark and the Monster Fishing Team hit the national TV network of Versus and the Outdoor Channel! 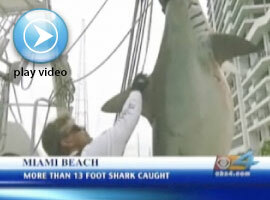 Watch the Shark Hunter battle a leaping 900-pound Mako on the Outdoor Channel - Awesome! 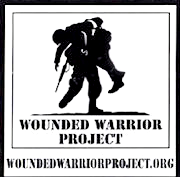 We would like to announce our recent filmings with Gowdy Productions, the Emmy Award winning production company. They are great shows and we hope you enjoy them. 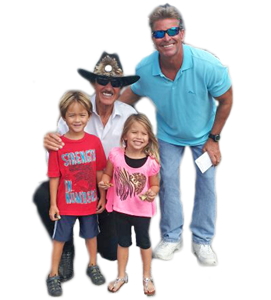 No image is to be copied or duplicated, in whole or in part, without prior written permission from MARK THE SHARK and MONSTER FISHING. 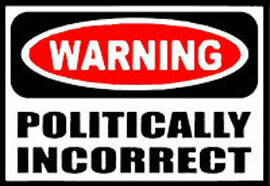 These images are NOT FREE and are NOT PUBLIC DOMAIN, so we would appreciate no unauthorized use.